The Pro Life Campaign has called for action following the Broadcasting Authority of Ireland’s decision to uphold a complaint of media bias by The Ray D’Arcy Show in its treatment of the issue of abortion. This is the second time in six months that there have been complaints about the RTÉ Radio 1 show on this issue. “The time has come for RTÉ to rein in Ray,” said Cora Sherlock of the Pro Life Campaign (PLC). “It’s not acceptable for Ireland’s taxpayer-funded broadcasting station to continue to provide a platform for people to promote their own personal agendas. RTÉ has been keeping its head firmly in the sand over the problem of bias on abortion at the station,” she claimed. She added that the public would not accept “another carefully crafted statement from RTÉ trying to defend the indefensible,” and warned that people around the country are asking why they should continue to pay for a station that pushes a pro-abortion agenda. There were two complaints to the Broadcasting Association of Ireland (BAI). 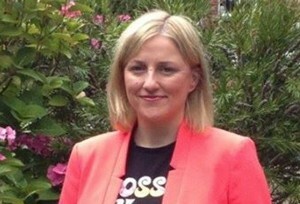 June Twomey lodged the complaint that the programme’s interview with Graham Linehan (Fr Ted writer) and his wife Helen was “unfair and biased”, and this was upheld in full. Then Brendan O’Regan’s complaint that the programme was “an attack on the Eighth Amendment of the Irish Constitution” was upheld in part. The couple spoke on The Ray D’Arcy Show about their experience of having their unborn child diagnosed with a fatal foetal abnormality/life limiting condition and their decision to end the pregnancy. Part of the complaint was that “the presenter promoted his personal view in respect of abortion” and that his guests’ comments on abortion should have been challenged. RTE responded that it was a “human interest” interview and that its focus was mainly on the “personal trauma endured by the couple”. Statements from the Pro Life Campaign and Every Life Counts group were read out during the show. However, the BAI upheld the complaint, and said it was not primarily “human interest in nature” as the interviewees had created a video in support of a campaign to change the Irish Constitution (run by Amnesty International), which was discussed during the programme. The BAI stated that the interview was “set out so as to encourage support for the Amnesty International campaign” on making abortion more widely available. In the previous Broadcast Complaints Decisions published in January 2016 two out of the four related to The Ray D’Arcy Show. One was on the topics of the marriage referendum and the other was on medically difficult pregnancies, including pregnancies involving foetuses with fatal abnormalities. Both complaints were rejected as were other complaints on racism and inappropriate language on two different radio stations. In the Broadcast Complaints Decisions published in December 2015 seven out of a total of 12 complaints were about The Ray D’Arcy Show. Three were upheld, two were upheld in part and two were rejected. The show that was the subject of six of those complaints was an interview conducted by the Ray D’Arcy with Colm O’Gorman of Amnesty International about the publication of Amnesty’s report, She Is Not A Criminal: The Impact Of Ireland’s Abortion Law. Apart from The Ray D’Arcy Show, the December 2015 decisions report included two complaints were made about Liveline and both were rejected. One complaint against 4fm News was upheld and single complaints about The Consumer Show and Live from the George were rejected. In the Broadcast Complaints Decisions published in October 2015 there were 30 complaints of which one was upheld in part and all the rest were rejected among them three against The Ray D’Arcy Show.